I write these posts in order to understand what I’ve seen or experienced, better. It is a way of processing, analysing those thoughts for as much my own record as it may (hopefully) be as of interest to anyone else that chooses to read it. The same can be said of drawing and my relationship with it as a means of focusing the mind allowing the opportunity for new thoughts, or indeed the almost meditative expulsion of having no thoughts at all (both as equally valuable). Having a passion for both, with that in mind, I began writing this post about ‘Great British Drawings’ exhibition of over 100 drawings by artists such as, Gainsborough, Turner, Rossetti, Millais, Holman Hunt, David Hockney, Gwen John, Walter Sickert, Ravilious, Edward Lear, William Blake, Samuel Palmer and Tom Phillips at the Ashmolean in Oxford. brown mud bound in liquitex mat medium on white paper. Most exhibitions I visit are intentional, in the sense that I plan to go see them. Visiting ‘Great British Drawings’ was more fortuitous in that I went to see it simply because I had some time to spare! In that respect it was a pleasant surprise with equally a few seldom-seen gems amongst the collection on display. 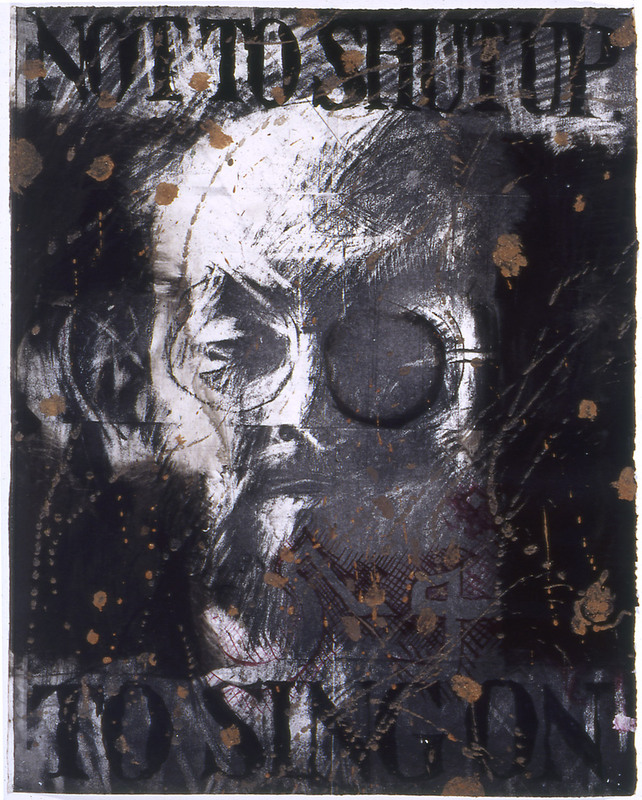 These include a Tom Phillips charcoal, mud and liquitex drawing of Salman Rushdie, (pictured above) which was uncannily Jim Dine like in its drawing style through heavy use of black and intense mark-making. Elsewhere it was refreshing to see a pen and ink drawing by Edward Coley Burne-Jones (of Pre-Raphaelite fame) that was in its small, more intimate scale more engaging and visually interesting in tone/marks than any of his paintings in my opinion. A few more of the Pre-Raphaelite ‘gang’ had work displayed in this exhibition and whilst I wouldn’t say I’m a fan of work from that period the difference in a perceived sense of warmth between their drawings and their paintings was quite striking. It reaffirmed that the pre-emptive nature of drawing, in the way it was used often before or as a way of composing a painting is so much more revealing of the artists hand and first impression of what they are looking at often than the painting. The painting is more measured in that it has been considered, edited and planned to convey what the artist ‘wants you to see’ whereas a drawing can be as considered but is often more ‘of the moment’ and sort-of as consequence, I feel, slightly more real (‘real’ in the integrity sense of the word rather than necessarily ‘realistic’) Turner is however a good exception to this theory whose drawings are also in this exhibition, he paints very much how he draws and the drawings inform the painting as much as the drawing is informed by the materials he is using. Again, it was great to see these smaller on paper watercolours which if anything felt slightly fresher and less laboured than some of his paintings. sepia mixed with gum Arabic, varnished. with watercolour over graphite on wove paper. 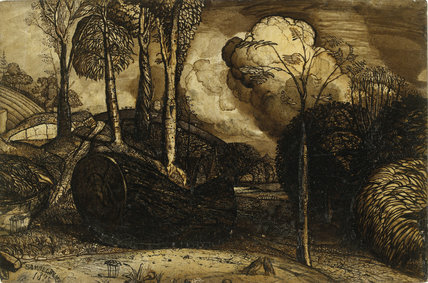 Flavour of the month, Eric Ravilious also had a drawing present in this exhibition along with Samuel Palmer (pictured above) who feels vaguely similar in that both were attempting to depict the romanticism of the English landscape, the undulating hills, cloudy skies, ploughed furrows in fields, rows of corn, hidden pathways, stone walls and all the variety in textures of trees, leaves, hedges and fauna. 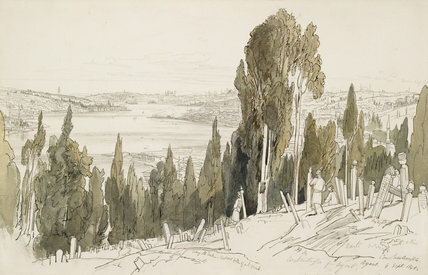 I also admired the draughtsmanship of artists such as Edward Lear whose illustrations I was familiar with but until now had never seen these more technical drawings (pictured above) which although preparatory for something finished are still quite elegantly sensitive and informative in their own right. 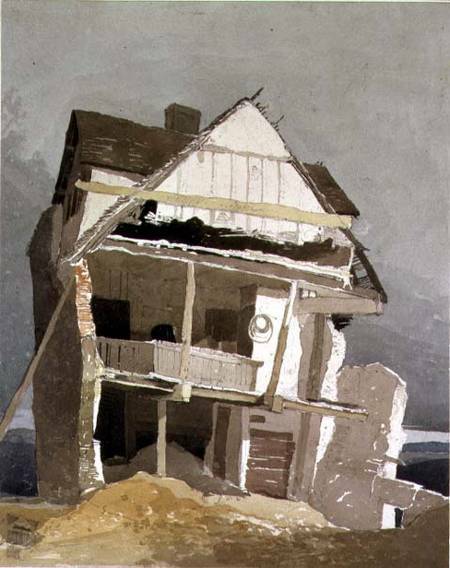 There was also work that reminded me of the importance of drawing as capturing an impression of something and the immediacy and observational sketchiness of John Sell Cotman’s ‘A Ruined House’ (pictured below) being one example and also a more unusual contrast to the familiar subject matter predominantly limited to classical architecture or castles (though many of these perhaps also united to this drawing in being ruins but of a slightly different nature). John Sell Cotman 'A Runined House' (1807) Watercolour over graphite on paper. This was a quietly contemplative exhibition, with lots of looking and noticing attention to detail of the kind which drawing tends to invite more gently than painting so whilst the Ashmolean probably possess infinitely more work they could have possibly shown in the space it still felt as though there was a lot to see. Certainly a lot to think about. ‘Great British Drawings’ is on at the Ashmolean, Oxford until August 31st. *Taken from CRAIG-MARTIN, M; ‘On being an artist’ (2015) Art Books Publishing: London. 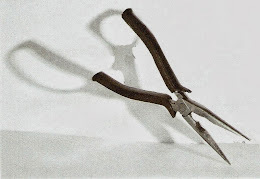 p8.